Russian President Vladimir Putin hit back at the latest G7 criticisms of Russia, saying they should get back to cooperating instead of “creative babbling,” following the Shanghai Cooperation Organisation (SCO) summit. 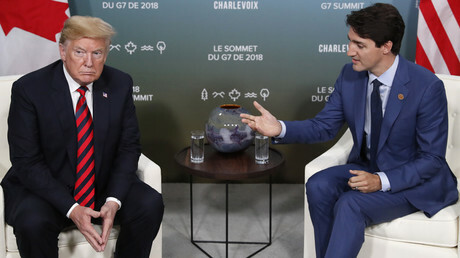 The contentious gathering of G7 leaders in Canada, marred by strong divisions between US President Donald Trump and his allies over, among other things, US tariff policies, nevertheless finished with a joint communique. The statement, which Trump said will not be endorsed by the US, expressed the group’s solidarity on Russia’s alleged “destabilizing behavior.” It also lays the blame on Moscow for the poisoning of Russian ex-double spy Sergei Skripal in Salisbury. Russia has repeatedly denied any involvement in the case. “Nothing concrete has been said again, it is still said that this event highly likely happened. 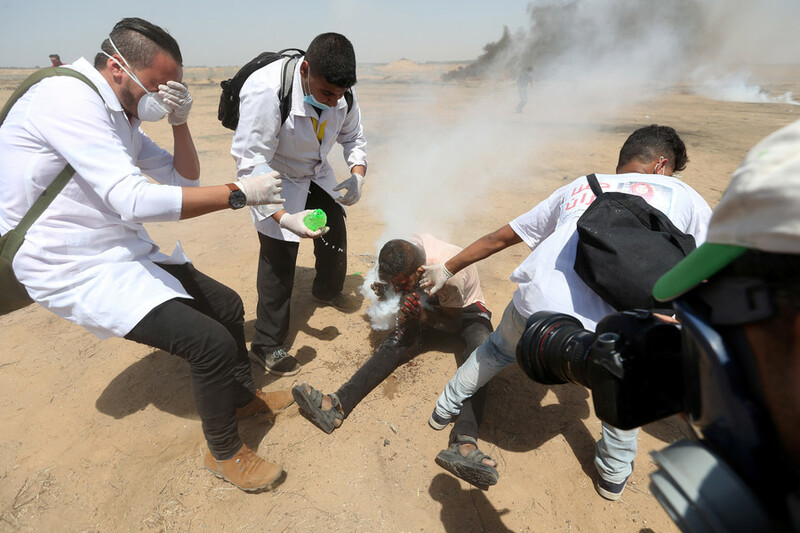 Solidarity in this regard occurs on some very shaky ground. 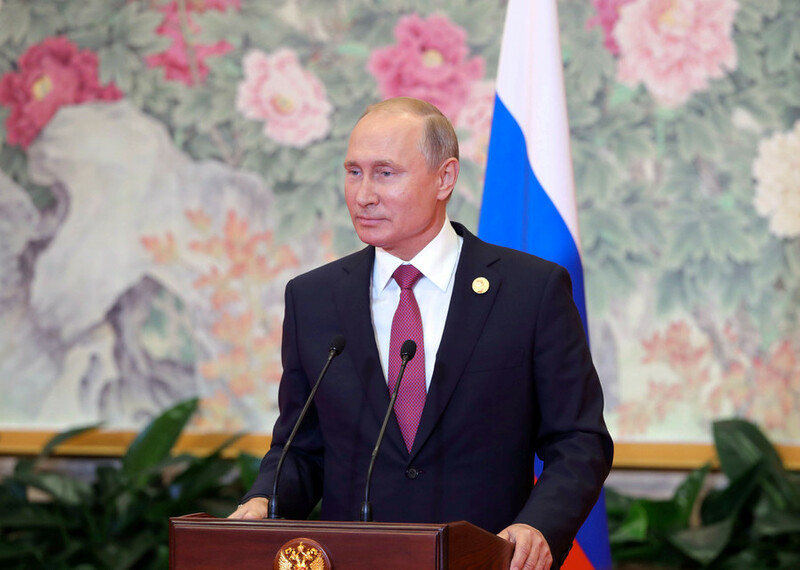 It seems to me that we should stop all this creative babbling and move on to specific issues related to real cooperation,” the Russian president said at a news conference in Qingdao, China, where the SCO summit took place. During a news conference, Putin also gave his take on Donald Trump’s call to bring Russia back to the G7. This did not sit well with Trump’s allies, but the Russian leader said it was not Moscow that turned its back on what was once the G8. 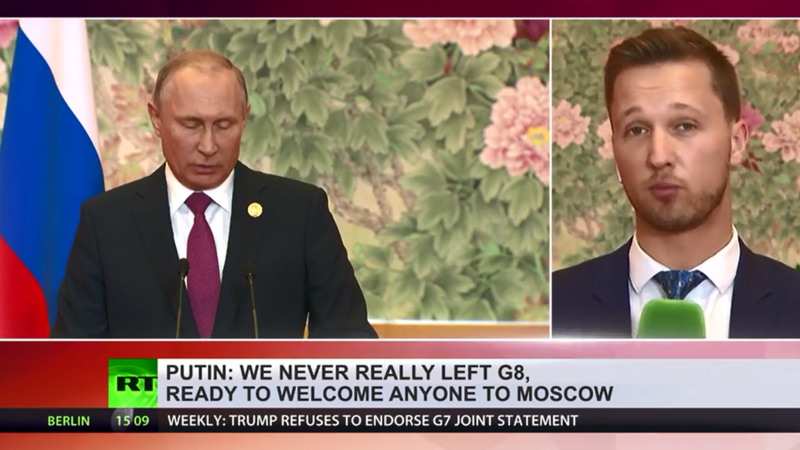 “As for Russia’s return to ‘the seven,’ ‘the eight’ [G7, G8] – we have not left it. Our colleagues once refused to come to Russia due to well-known reasons. Please, we will be happy to see everyone in Moscow,” he stated. The SCO gathering concluded just shortly after the G7 summit, and Russia enjoys the format of the now-eight-member organization after India and Pakistan joined. Putin believes the SCO trumps the G7 in certain aspects. For example, the member states have already overtaken the G7 in purchasing-power parity, the Russian leader said, citing IMF data. “If we calculate… per capita, the seven countries are wealthier, but the size of the SCO economies [combined] is larger. And the population is of course much bigger – half of the planet,” Putin told reporters. 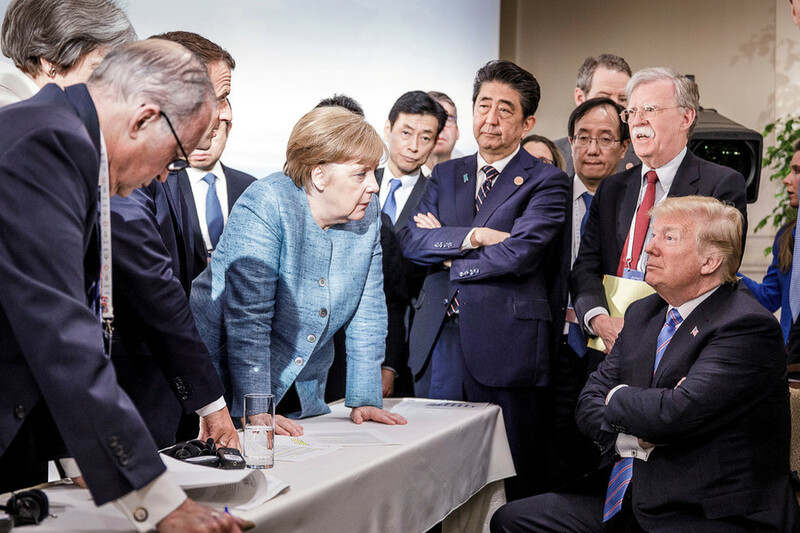 Regarding the squabbling at the G7 gathering, Putin refrained from providing an overall assessment of events, but said that Trump’s actions may “hurt the economic interests” of European countries and affect the global economy. The Russian president did not rule out any future contact with his US counterpart, saying instead that he looks forward to meeting Trump when the American side “is ready for it” and when it fits in with his own work schedule.